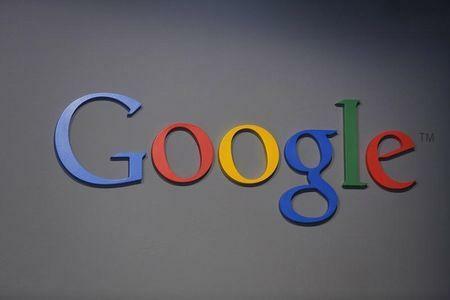 BRUSSELS (Reuters) - Google Inc is refusing to bow to an order from the French privacy watchdog to scrub search results worldwide when users invoke their "right to be forgotten" online, it said on Thursday, exposing itself to possible fines. The French data protection authority, the CNIL, in June ordered the search engine group to de-list on request search results appearing under a person's name from all its websites, including Google.com. That stemmed from a ruling in May last year by the European Court of Justice that European residents can ask search engines, such as Google or Microsoft Corp's Bing, to delete results that turn up under a search for their name when they are out of date, irrelevant or inflammatory, the so-called right to be forgotten. Google complied with the ruling and has since received more than a quarter of a million removal requests, according to its transparency report. It has accepted about 41 percent of them. However, it has limited removals to its European websites, such as Google.de in Germany or Google.fr in France, arguing that over 95 percent of searches made from Europe are done through local versions of Google. In a blog post on Thursday, the U.S. company said it believed no one country should have the authority to control what content someone in a second country can access. "We've worked hard to implement the right to be forgotten ruling thoughtfully and comprehensively in Europe, and we’ll continue to do so," wrote Peter Fleischer, Google's global privacy counsel. "But as a matter of principle, therefore, we respectfully disagree with the CNIL’s assertion of global authority on this issue and we have asked the CNIL to withdraw its formal notice." The CNIL said it would look into Google's appeal and decide whether to accept it in two months. In case of a rejection Google may face fines, albeit small compared with the company's turnover. "We have taken note of Google's arguments which are mostly of a political nature. The CNIL, on the other hand, has relied on a strictly legal reasoning," said a spokeswoman. Google warned that applying the right to be forgotten globally would trigger a "race to the bottom" where "the Internet would only be as free as the world's least free place". Its stance was upheld in February by a group of experts appointed by the company to guide it on how to apply the landmark ruling. "Global de-listing remains too controversial without an international agreement," said Luciano Floridi, a professor at Oxford University who was on the panel advising Google. However, European regulators and some legal experts think Google ought to apply the ruling globally as it is too easy to circumvent it by switching from one version of Google to another.